Located in the heart of Dunedin city center, 315 Euro Motel and Serviced Apartments offers free Wi-Fi and free onsite parking. All accommodations features a flat-screen TV with more than 50 satellite channels. 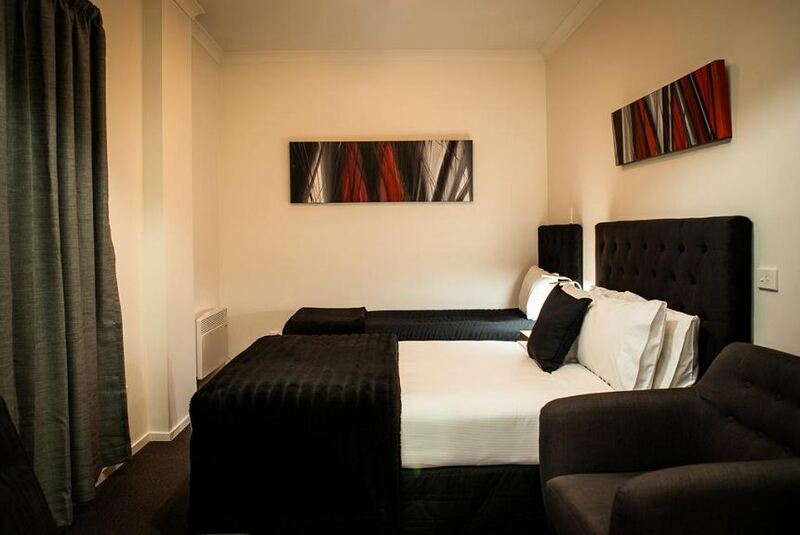 Located in Dunedin’s vibrant café and retail area, 315 Euro Motel & Serviced Apartments is a 3-minute walk from Dunedin Hospital and a 10-minute walk from the University of Otago. Facilities include a laundry service, a tour booking service and an outdoor terrace. In-room continental breakfast is available upon request. All accommodations has been soundproofed and features double glazed windows. All studios and apartments offer a leather sofa and a microwave. Each has a bathroom with a shower, bathrobes and slippers.